Over on the VOLT Facebook group Wayne Anthony Jones asked: “What will i have to change on a volvo 2.4td engine to make it fit my lt?? thanks”. To preserve some of the knowledgeable responses I have summarised the responses below. The spigot bearings vary. Martin got an insert machined to accept the LT gearbox input shaft. Engine mounts are different and it will also depend on the model - 35 and down are coil, 40 and up are beam suspension. The oil pickup in the sump differs from a 4x4 LT to the normal LT and the Volvo. These parts can be easily bolted over. Following stuff also has to be changed: coolant flanges, one outlet needs a core plug, oil pressure sensor and the rocker cover. Volvo has oil filler in the front, LT in the back. Be a right pain to open the entire engine cover every time. - spline on the crank at flywheel seems to have changed on the later ones. '97 Volvo 940 differed and needed to be machined up. Fabricated up an engine mount using an old Cortina rubber bush and the original LT bracket, placing a 2p in the hole in the back of the block where the gearbox mounts. Hasn't leaked in 4 yrs. The Volve 940 was a TDiC and had an intercooler which is too wide for the LT so a Peugeot 305 tdi intercooler was used instead. When I asked Marlow what sort of performance improvements you get I had this response: "Quite a bit. The Volvo has bigger injectors, a more aggressive cam and a wider setup on the waste gate, so the turbo kicks in earlier." 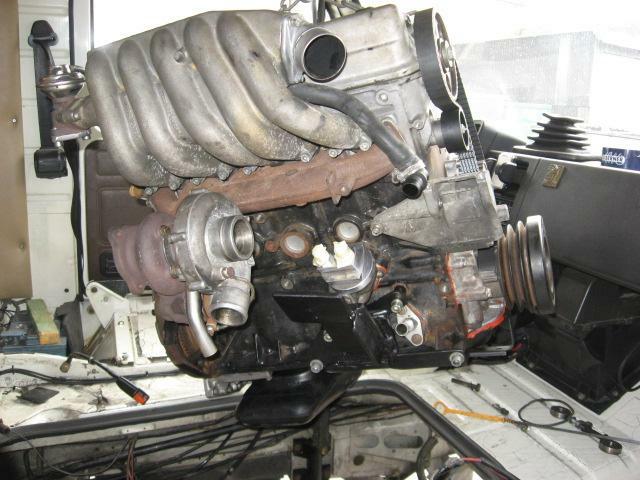 Chris Batey added: "Original DV engine outputs107HP; Volvo TiC 121BHP, or 127BHP depending on what you read." Intercooler was in the LTs from 93, if they had a turbo. Well ... And Volvos wink emoticon .. 740/940 are the same engine, but different wastegate (turbo kicks in earlier), intercooler, more aggressive cam and bigger injectors. Either way, you could always do it in stages. Start turning the pump up, maybe retrofit intercooler. Those the are the cheapest tuning options. Cheapest option is getting a late Volvo 940 2.4TD. That's the upgraded engine. A few bits have to modified if you swap the entire engine. Or you just bolt sump, manifolds, turbo over. That's another option. Gives you a lot more grunt. It depends how good your mechanic is. In my case the center piece/spline at the back of the crank had to be machined. There's one hole at the back of the Volvo engine that needs a core plug. Sump and pickup changed over. All flanges bolted over. Engine mounts bolted over. From there its straight forward. So if you have a guy that isn't scared by that sort of thing or you can do it, you're on to a simple engine swap. If he's not capable of maybe machining one or 2 bits, then you should just bolt over whatever you need to get the turbo conversion done. There are 3 generations of the LT engine. First one has shimmed valves, second hydraulic controlled ones and third then additionally got the intercooler if turbo charged and more sensors and egr in general. Egr you obviously want to blank off. There are also 2 versions of the cooler fan. One rigid, one on viscous. The viscous fan engine has 7 bhp more because of that, but tends to have more overheating issues, so people convert back to rigid fan. Dan Monstercrawlers Reading is planning to swap to a Merecedes OM606 engine which should reach 350-400bhp returning 30mpg. Another route to significantly add more power is to add more fuel and boost. The D24 forum has lots of info on modifications to turbos and intercoolers. Some stick engines (like the 95hp ACL) came with an intercooler. But they are a fairly small box: 2400cc @ 4000rpm and 0.7bar = a lot of air. The Volvo intercooler is much bigger. Joe Scrows states: "The D24 has a seven bearing main and 23:1 standard C/R which is a strong base. 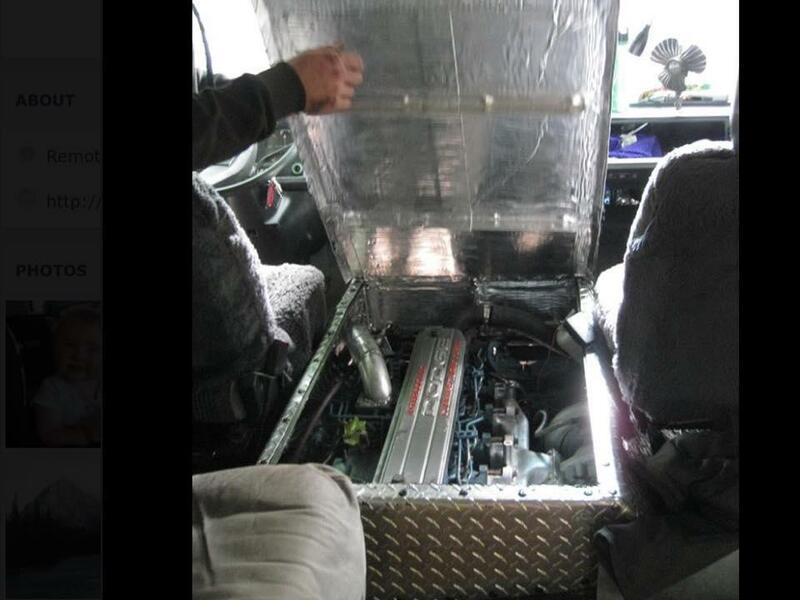 We have seen almost 1000bhp/850lb/ft from the cummins 6bta base , this was achieved with full engine work." Dan's response: "...the ultimate factor will be how much power the LT trans can take.. I keep thinking that a tuned d24t would be cool but the high ratio gearing of the LT would just render any gains pointless. Think the answer will be in the diff." Stefan Berendijk: "The ARVW had 175bhp (-200bhp? ed.) @4500rpm with 25psi boost. 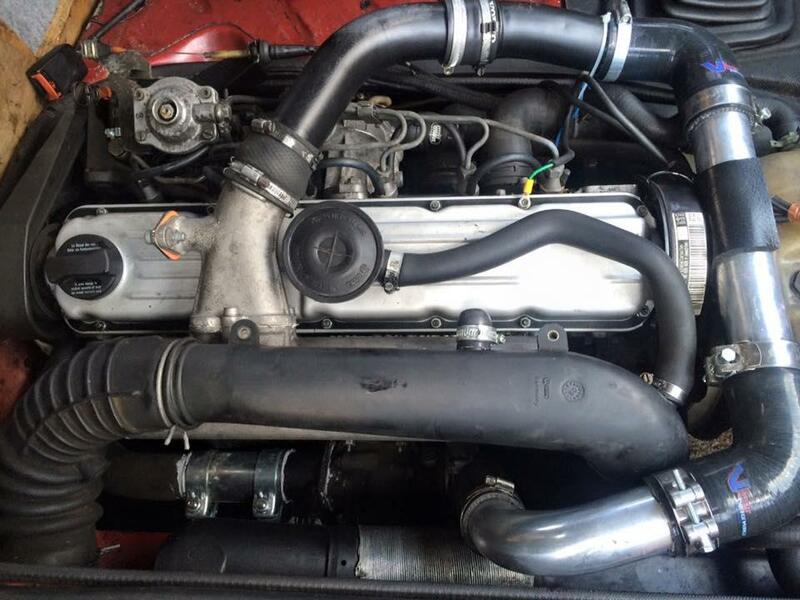 Turbo'd CP engine "
As has been agreed before the turbocharged and intercooled D24TIC engine from a 1991-1995 Volvo 940 or 960 is the easiest route to more power. Once the engine is in upgrade the intercooler, turbo and injection pump. How much upgrading would depend on what the series 1 LT transmission would endure. 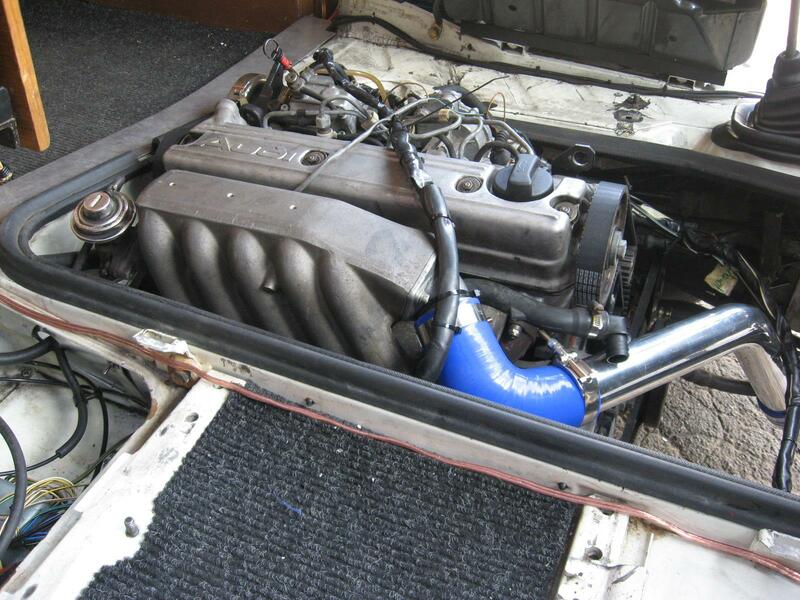 Jason Ewing added: "18PSI on the DV engine with ACL intercooler works fine in our Florida. (Ok modified pump too - full fuel to 4000rpm) Now I need more gears. " Ash Ley is fitting a 4.7L power tech V8 from a Jeep Grand Cherokee in his LT50 recovery truck, with a 545rfe auto gearbox. The Land Rover Discovery ZF auto gearbox bolts straight onto the D24t engine. This means there's an opportunity to fit a V8 Land Rover engine but you would need a Volvo bellhousing and flex plate to do so. 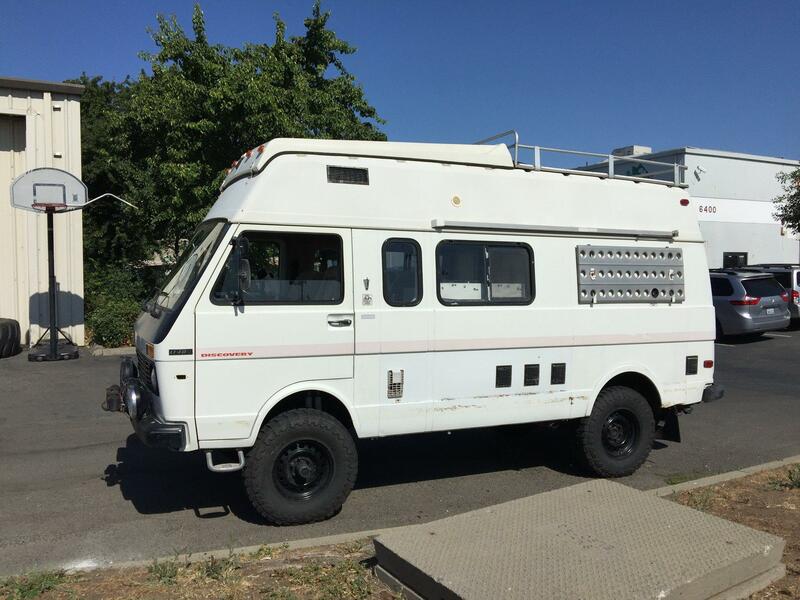 LT in attached photo has "a complete drivetrain swap by an unknown previous owner. Late 70's early 80's Chevy Suburban or K5 with a Sbc 305, Th350, NP203, Dana 44 and a Corporate 12 bolt. " 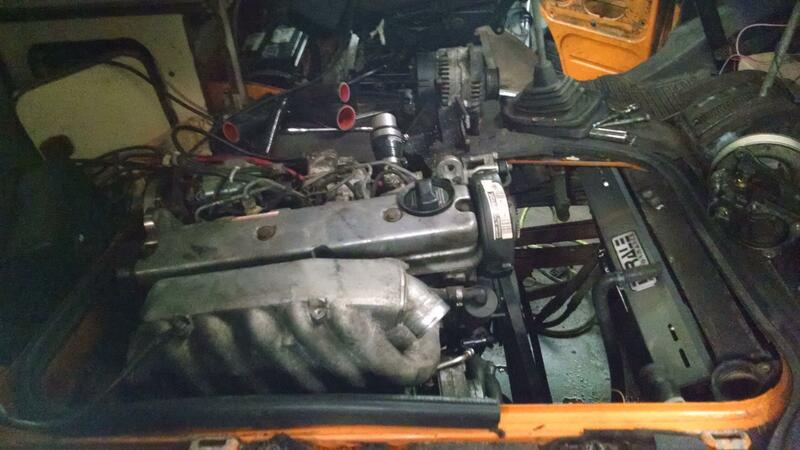 "Since the engine bay was already expanded for the SBC I decided on the Isuzu. Was also waiting on the Cummins Repower but the cost and displcement 2.8 dictated a more economical diesel. I'm using the stock Isuzu MSA5D gearbox with a divorced NP 205 TC. There are a few manufacturers who make adaptors from the 4BD1/2T to the popular 4x4 and 4x2 transmissions - NV4500, 4L80. Should also mention COR Conversions out of Australia. Isuzu NPR/ELF gearboxes are cable or linkage operated. 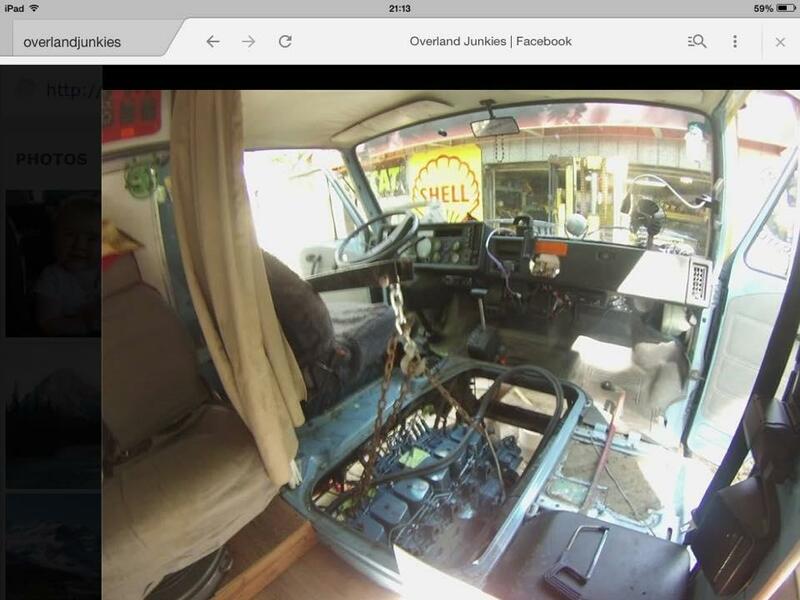 Ideal for our cab over LT's but not the more popular Land Rover, Land Cruiser, 4BD swaps. They make a top shifter for the various Isuzu gearbox along with gearbox to TC adapters."